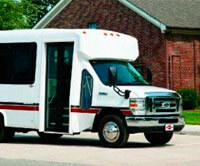 Small buses are classified as a bus that has under 15 passengers which including the driver. Any bus carrying 15 passengers or less including the driver does not require a Commercial Drivers License. Medium buses typically carry between 16 and 30 passengers including the driver. Our medium size buses often offer the greatest value of all of the buses we sell. A bus that carries 31 passengers or more including the driver would be classified as a large bus. 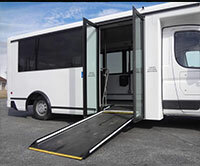 Large buses offer organizations the ability to carry all of their passengers without the need for multiple vehicles. 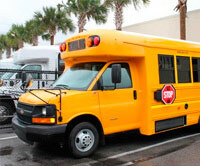 Atlantic Bus Sales, located in Florida, is a full service bus and sales dealership. We represent various bus, mini bus and van manufacturers with a vast selection of new and used buses of all sizes. 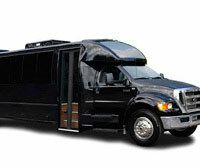 We deliver buses nationwide and offer worldwide bus exporting, including Short Term Bus Rental, and Bus Leasing. 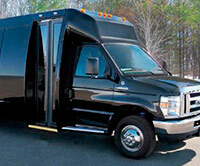 At Atlantic Bus Sales, we have a wide variety of buses to accommodate various businesses and organizations including New and Used Church Buses, Limo buses, Tour Buses, Custom Medical Transport Buses along with Paratransit & Handicap Buses. We offer competitive pricing, great customer service and are dedicated to maintaining the standard of excellence we have achieved over the last 25 + years in business. 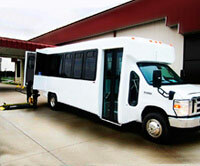 Whether it's Bus Sales, or Bus service, Atlantic Bus Sales is #1 in the industry. 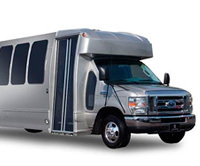 Our Goal is simple – Provide the proper bus for your organization’s needs backed by our first class reputation and customer service after the sale.